FLO-CORP, a leading U.S. manufacturer of flow, level, and monitoring instrumentation, announces the release of the CONNEX 3D™, a wireless cellular monitoring system that increases plant safety, protects inventory assets, and expands worker efficiency. In process industries, such as oil and gas, chemical and petrochemical, energy, and agriculture, asset management is critical, essential, and mandatory. With EPA and government regulations on the rise, it is imperative to implement reliable technology to monitor and manage valuable commodities and inventory assets. 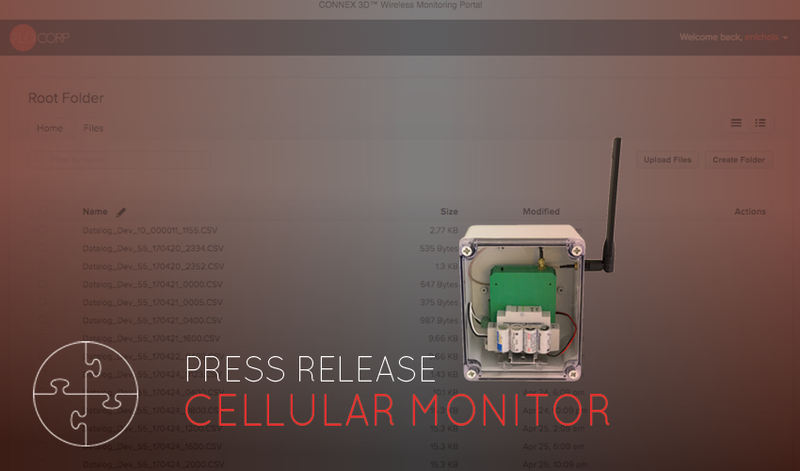 Introducing the patent pending CONNEX 3D™ wireless cellular monitor and inventory asset management solution. 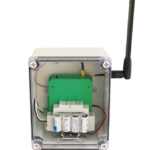 The industry’s first process cellular monitor that communicates to field and host devices via RS485 and transmits wirelessly through cellular data transmission to a cloud based server. The user will receive SMS text and email alert notifications regarding the status of their remote monitoring application like tank level, remote flow total, temperature, pressure, directly to their smartphone, tablet, or PC. The CONNEX 3D™ is unlike any other device on the market due to its communication compatibility to sensors, advanced data logging features, and unique data plan. RS485 is a standard communication in drivers, receivers and measurement instrumentation. Since CONNEX 3D™ features RS485, it will connect multiple sensors to just one monitor, which will reduce labor, increase efficiency, and will significantly impact the bottom line. The CONNEX 3D™ features advanced data logging, which improves reliability and efficiencies. The CONNEX 3D™ has a built-in data logger with up to 32,000 samples of stored data. This is imperative if the cellular connectivity fails, the data is not lost (unlike other devices on the market) and the user is able to retrieve data directly from the device with standard USB connectivity. The CONNEX 3D™ protects valuable inventory assets and acts as a safeguard by monitoring material 24/7 in real-time. Since the data is on a standard, secured cloud-based server, the user can log-in anytime from a smartphone, tablet, or PC to view their assets. They will also receive alerts in order to prevent overflow, loss of material, and theft prevention. The CONNEX 3D™ is able to monitor energy, liquids, gases, and solids and can measure volume (gallons, pounds, etc. ), contents (inventory, quantity), and placement (GPS). FLO-CORP is a family owned and operated company that started in 1989. 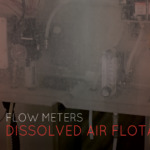 As a U.S. manufacturer of flow, level, and asset monitoring products, FLO-CORP has control over origin of product, quality, and lead times as well as creative control in the development of new products. Recognized as Entrepreneur of the year in 2012, FLO-CORP continues to strive for excellence in every product they release to the market. FLO-CORP is unique in that every product and system is calibrated for the customer’s exact application for accuracy and easy start-up. FLO-CORP strives to produce best-in-class products with customized measurement solutions of the finest quality and highest value on the market.